iPad meditation app will be out soon! 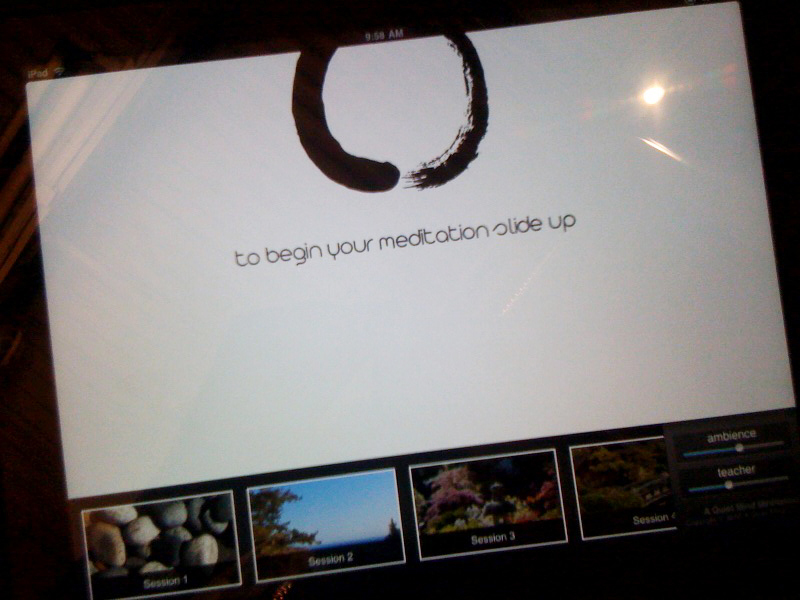 We have created a meditation app for the iPad and it will be in the iTunes store soon. If you are interested in the app please send me an email ( robert at aquietmind dot com )and I will keep you posted on it’s release. If you are at the Wisdom 2.0 conference DM me or tweet me at (@aquietmind ) and I’ll be happy to demo the app for you. It’s with great pleasure that I announce the re-release of my CD, Flight of the Hawk! This CD was recorded in Sedona, Arizona in 2000 and then re-mastered by an old and dear friend of mine, Kevin Peterson (thanks Kev!). It contains music performed on the Native American Flute, drum, didgeridoo, and guitar, all performed by me and accompanied by nature sounds. This CD is very special to me as it has some recordings that were created in a little cabin in one of the most inspirational and spiritual places that I know. The magic and wonder of Sedona comes through strongly in this recording and I do hope that it heals, brings peace and a little joy into your lives. 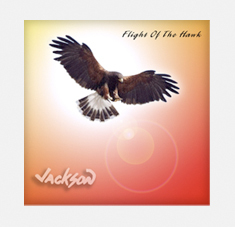 Flight of the Hawk is available by download from Amazon, Itunes and many other distributors on the Internet. As a gift to you, my valued listeners, I am making two of the tracks available at no charge for your enjoyment. If you have a coupon for this CD from a previous sale that had not gone through, please contact me and I will make sure that you get your copy. It’s available only in digital format at this time. As you can see there are some changes being made with the website, so please bear with me as I learn as I go. We are adding a forum to the site so that you can have your voice heard and interact with other AQM listeners. I’m also working on some new pages that will include guided meditation, instruction on meditation and guided relaxation.